Type of Plant: This is a low-growing perennial that is native to the Eastern United States, west to Oklahoma and south down to Florida. 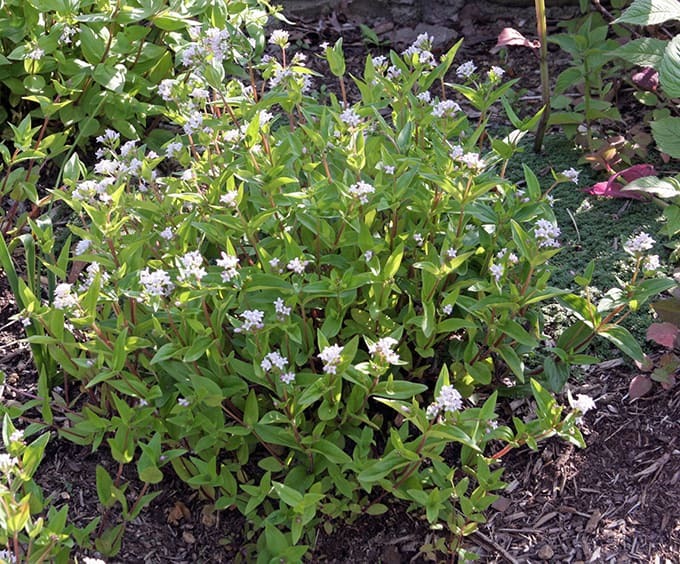 Hardy from zones 3 to 8, this plant flowers in May into June. Why I Love/Hate this plant: I love low, native plants that fill in areas around other plants to provide the “socks and shoes” for taller plants and an early-flowering plant for mixing in with other low-growing perennials. Plus you have to love a plant that will thrive in full sun or shade, right? A Word to the Wise Houstonia purpurea does self-seed, which is a good thing when you have an area you want filled in with plants. But over time you might find seedlings appearing in other garden beds. So just know that like any seeding plant you’ll have to edit it out if you see new ones growing where they aren’t welcomed. Also, know that if this plant starts looking tired or drought-stressed later in mid to late summer, just cut it right to the ground. 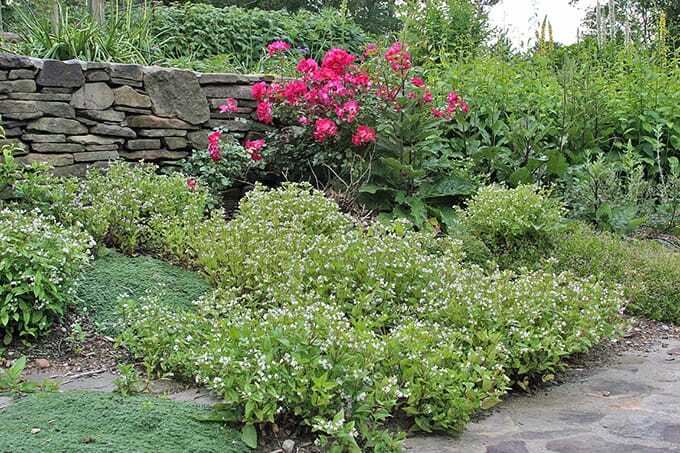 See how lovely this perennial is on a slope. And it plays well with others! I have it growing with wooly thyme, Sedum album, and Phlox subulata. All are happy and getting on well with the roses and other plants. 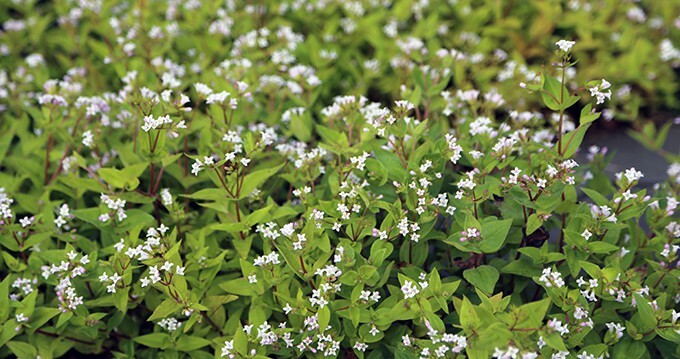 The sweet, small flowers on this plant can be white, pale lavender or even pinkish.